While living near a big city may be desirable, actually living in the big city may not be for you. Suburb living may be the perfect compromise and San Antonio has some great suburbs for home buyers. San Antonio is a very popular city filled with great culture, history and plenty of things to do. It’s also known for the food scene, but the traffic, parking, and expense of living in the city may keep you from moving to San Antonio. However, you can avoid the traffic, parking and some of the expense by living in a suburb of San Antonio. With suburb living, you’ll gain access to the city benefits without living in the actual big city. If you think suburb living is for you, it’s time to choose the right one. Here’s a look at the top suburbs found in San Antonio. Homes top the $400K mark in Fair Oaks Ranch, on average and it’s known as one of the top suburbs in San Antonio. This suburb is found between San Antonio and Boerne, making it a great location for homeowners moving to the area. Fair Oaks Ranch is filled with single family homes, condos, and some garden homes. It’s a Hill County Community with close to 3,500 homes found throughout. There are still some undeveloped areas, which make it a perfect spot for new construction, as well. One of the biggest draws for Fair Oaks Ranch is the country club. It’s one of the best in the area and provides a great choice for the entire family. Plenty of other amenities are found throughout the community, as well. A very affordable suburb in San Antonio, Hollywood Park is a great choice for homebuyers. It’s known for the schools serving the area. The median home price in Hollywood Park is about $294K. Hollywood Park is a town found in Bexar County in the far north central of San Antonio. It’s found off Highway 281 and Anderson Loop 1604. The town offers a plenty of things to do, shopping, dining options and plenty of entertainment. It has a community pool and clubhouse, as well. Many consider Terrell Hills to be the best suburb of San Antonio. It’s a bit more expensive with the median home price coming in around $635K, but the homes here are rather stunning. It’s more affluent than most of the suburbs found on this list, however. Located in Bexar County, Terrell Hills is found near the University of Incarnate Word and Fort Sam Houston. It’s close to Olmos Park and Alamo Heights, which provides plenty of things to do outside of Terrell Hills. The location draws many to the neighborhood and the houses are rather impressive, as well. Another luxury suburb of San Antonio, Shavano Park has a median home price of about $594K. This suburb is in high demand and offers a great location in Bexar County. Shavano Park is home to many single family homes, luxury estates, garden homes and homes with acreage. It’s a part of the Northside Independent School District and offers a great suburb to call home. With a low unemployment rate and a median home price of $442K, Garden Ridge is a popular choice for suburban living. It’s on the way up and starting to inch its’ way into the conversation as one of the most affluent suburbs of San Antonio. Garden Ridge is found in Comal county off I-35. It was started as a community of custom homes and expanded decades later into a much larger community. The community is served by the Comal Independent School District and offers several private schools throughout the area. The median home price in Alamo Heights is $513K. It’s known as one of the more expensive suburbs in the San Antonio area and one of the most popular. The Alamo Heights ISD is known as one of the most sought-after school districts in the area. Alamo Heights is located in Bexar County. It’s found off Highway 281 and considered to be in Uptown, San Antonio. This suburb is filled with single family homes, condos and offers some room for new construction. Another great suburb of San Antonio, Castle Hills offers a more affordable option with a median home price of $261K. It’s known for having great schools and many believe Castle Hills is one of the better suburbs you can choose to call home. Castle Hills is found in Bexar County and offers single family homes, condos and new construction throughout. It’s found off Loop 410 in the North Central area of San Antonio near Balcones Heights. A great choice to call home if you seek suburban living, Helotes offers good schools and an affordable cost of living. It’s about 12 miles from downtown, which makes it a convenient option, as well. The median home price in Helotes is $273K. The suburb with the second lowest median home price on the list is Cibola at just $206K. It’s a fast-growing option and that low home price may not stay there for very long. Cibolo is a very affordable suburb of San Antonio with plenty to offer. By far the most affordable suburb of San Antonio on this list, Selma offers a median home price at just $165K. It’s one of the best suburbs in the area due to the affordability. In addition, Selma offers good schools and plenty of things to do nearby. Selma is located in Comal, Bexar and Selma county. It’s filled with condos, single-family homes, and some new construction. The location is found off Anderson Loop 1604 and I-35 near Randolph AFB. It’s a growing area with more than 6,000 residents. The Forum Shopping Center is found in Selma, along with Davenport Park and State Stop Park. These attractions offer plenty of things for residents to enjoy and San Antonio is just a short drive away. If you’re looking to relocate to San Antonio and you prefer a suburb, these are the top choices. Find out more about our FIRST TIME HOME BUYING PROGRAMS FOR SAN ANTONIO. Read More About 5 Things First-Time Home Buyers Should Ignore. 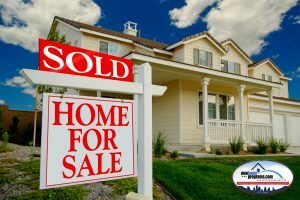 Why Buy a House in San Antonio?